Can you give it all away? I tend to be one that likes to hold onto things for far longer than necessary. You just never know when you might need something. Yet, it’s rather easy to discard those things I count as trivial. But what about those things in which we hold dear? As I reflected upon Philippians 3:8, I noticed that Paul didn’t mention not one tangible possession in the preceding verses. Instead he spoke about pedigree, position, and passionate religious pursuits. All of which could have easily lead to pride; however, he willing tossed it all aside. Trashing personal trinkets is often far easier than doing away with the accolades of others, personal achievements, and positions of prestige. Fill your cup with more of the Word this Wednesday at Internet Cafe Devotions. Wanda – LOVED this! Sometimes it is SO hard to throw away the things you mentioned. However, lately, that's one thing I've been saying to the Lord – I just want to KNOW You. What a privilege to embrace Christ!! Wanda, this is so true… some people may not be owned by material possessions, but they are owned by their ego and the adulation of others. Powerful reminder, thank you. It seems He is speaking this type of message a few places I have visited lately in blogland. He must want our attention on it. Great word, my friend! Isn't it true that we hang on to things that we shouldn't? Things that only tie us to this world or to significance that isn't true. May I be willing to cast it all aside just for Him . . . as He did for us. Very relevant in a week where I had to do a bio for a 50 yr teacher's college reunion. It was interesting to have someone comment on the parallel between my teaching life and life in the church. Quite strange to see how others see you and the value they place on those silly status things…Nice but not to lean on. That picture is just perfect! It hits home to see His truth in the visual context you have here. Thank you! Awesome post….so true. Thanks for sharing! A deep word, Wanda. I am often asked why I don't have any awards, degrees, etc. on my office wall, and I tell people the truth: I don't want to get attached in the wrong way to the wrong things. One of my favorite movies, "The House of Sand and Fog", is a blunt and brutal telling of detrimental attachments. It is a place that I never want to be. Like you say, "it’s rather easy to discard those things I count as trivial." — Those things I treasure are far more difficult to toss out. It's those things I treasure that hinder my access to God. God wants me to have access to Him; a connected relationship that is always on. This is a valuable lesson I'm learning, surrendering my life, totally and completely to God. In doing so, I'm discovering that many of those things I once treasured are nothing more than dung. (written with tongue in cheek because I'm sure that is where it leads when we focus on material things):0( sorry, I had to say it! (I'm kinda a pack rat but moving here to Mexico forces me to at least leave my stuff behind and focus not on the possessions any longer). The Message once again speaks this so well. Thank you! I think all the recent natural disasters show us that we must let go of things and grab on to Jesus, as Our Rock! How hard this is to say because many did not have much. May God have mercy and hold back further destruction on us. May we wake up now… and take out our "trash" and let go of all that entwines us. My soul is always well watered here. Thank you for stirring up what matters. Wanda, Wanda, Wanda…I don't think it's coincidence that I'm in the "pride" chapter of "Breaking Free!" This is a fantastic visual for me! 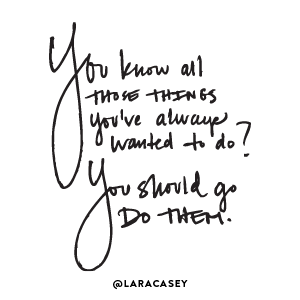 Letting go of the things that I "think" I need to treasure…yes indeed…that's the mission! Awesome reflection today girl! You always inspire! What a powerful reminder! Love the picture and the verse! Thanks for sharing and being a blessing. Lovely way with words, and so true! Thanks for sharing your thoughts and reflections. A blessing to read and ponder these words in my heart. Beautiful sis. Passionate religious pursuits–some of the most difficult pride to get rid of and sometimes WE often think the tangible and material possessions are the worst culprit. Yeah. I think I had mentioned something in line with this a few days ago–about us having to lay down even the most spiritual and worthy causes if our Father saw any tendency for pride in them. That is where trust comes in. Notice how Paul's tendency to puff up came from spiritual revelation. Now, we'd think anything coming from God would be an automatic green light to go but Paul points out that he rather speak of his weaknesses. This is great, and the best part is you present it with no condemnation lurking in the background. We can all fall so easily. I am nothing apart from Christ. Awesome! Love it! Picture and verse…very well put together. Praise the Lord. Have a wonderfully blessed WFW! Thanks for stopping by my blog…Happy WFW! recently we've been getting rid of alot of things we just don't need but hanging onto. I often think to myself…if I lost everything it wouldn't even matter but if I lost Him…..I couldn't live. Love this post, Wanda. So true, it is often hard to let go of pride, accomplishments, etc. As MTJ said, some things I once counted as treasure are nothing more than waste. There is nothing in this world than can compre with knowing Christ. Throwing away personal trinkets is definitely easier than some of the prideful trinkets we carry around. I like the way you paired up the earth pulling me to itself (in my fall) to how our sins pull us to themselves. Thank you for the encouragement to know they will lose their magnetic pull on us as we abide in Him. Thank you for this reality check. I appreciate being reminded about perspective. Oh Wanda you wrote a good word today! Giving up costly trinkets is so much easier than giving up accolades and achievements. God is so good and He knows best! Oh this is rich! Thank you for sharing! May we all remember…it's ALL ABOUT JESUS! I have trouble holding on to things, too. Wonderful verse , wonderful WFW!